Milton Keynes. Not typically considered a destination for a romantic mini break. 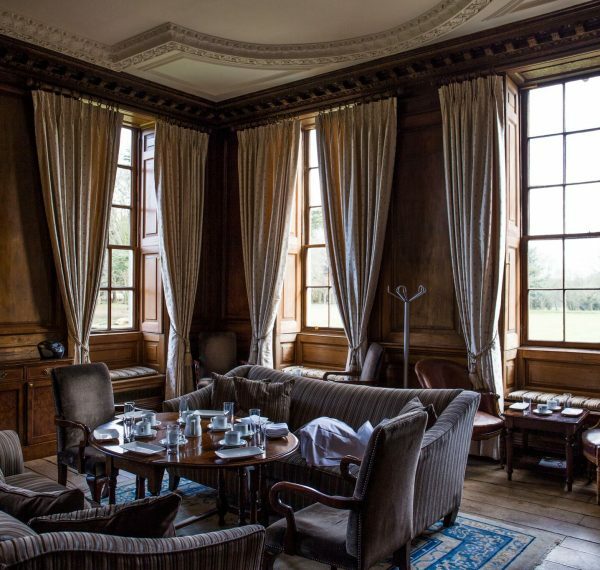 Yet just 15 minutes by car from Milton Keynes Central station, you will find Chicheley Hall. Which is just that. 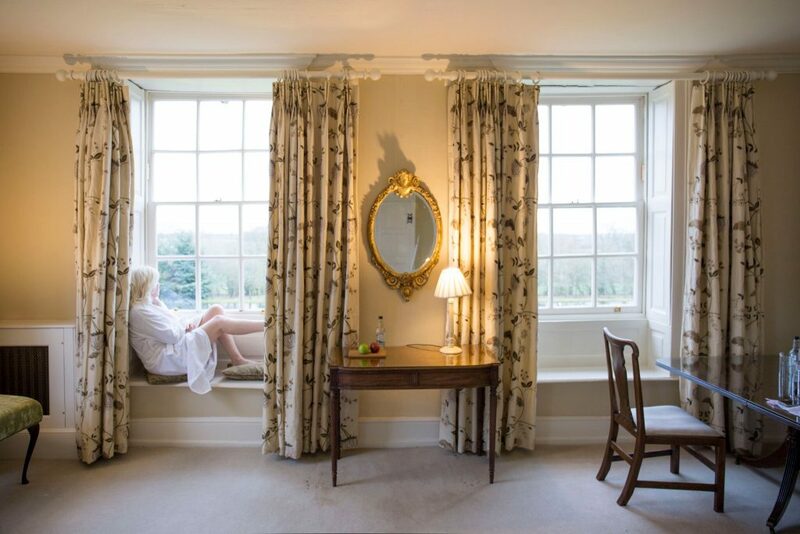 Running as a hotel for the last 5 years, this A Grade I listed mansion, is regarded as one of the finest examples of early 18th Century architecture. 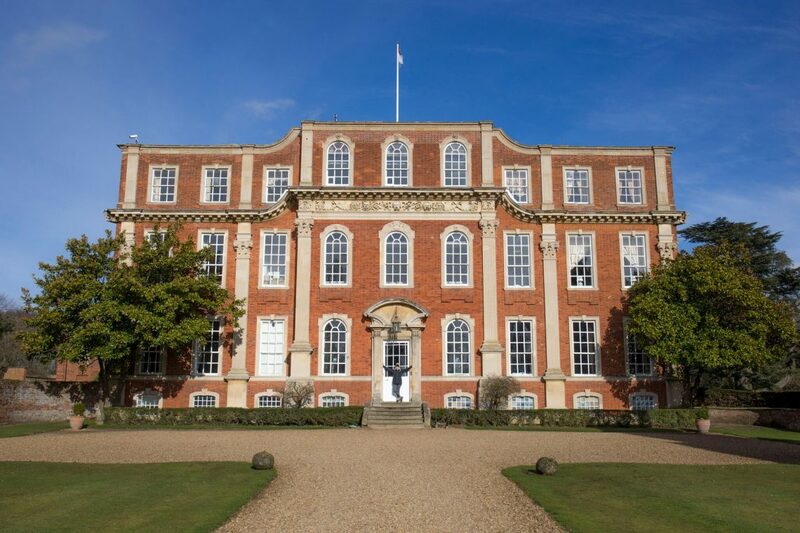 Often used as a location for period film and television projects as Pride and Prejudice, it’s a popular venue for weddings and conferences, while also being home to the Royal Society – the oldest scientific academy in existence. With an cosy library stuffed full of rare scientific books, the scientific theme is continued with all 48 of the distinctly individual rooms, named after eminent Royal Society fellows – from Einstein to Flemming. 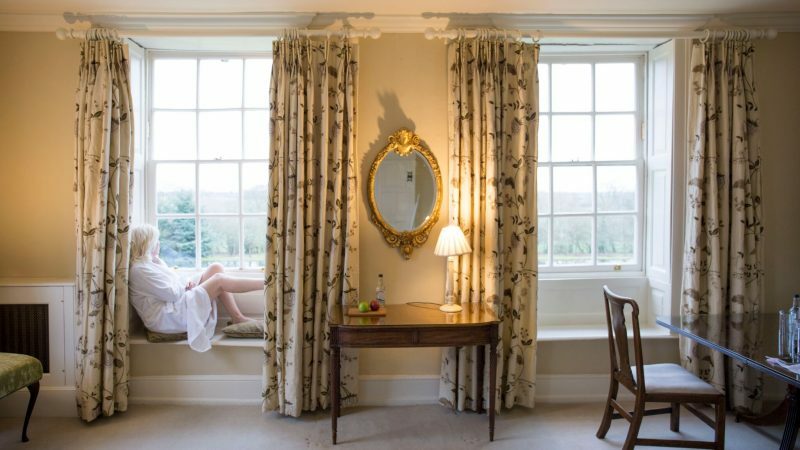 We stayed in one of the largest rooms in the house – the bridal suite, named after Blackett. Bright and airy, with original period features including large seated alcove windows and a mottled antique mirror above the marble fireplace. My favourite piece being a curious wood carving above the mahogany sleigh bed. Featuring a coat of arms and strange looking characters, I am convinced are doing some kind of kundalini yoga moves, I’m still keen to learn more about this carving. And that’s part of the appeal of Chicheley Hall. With so many nooks and crannies to explore, it seriously peaks one’s curiosity. 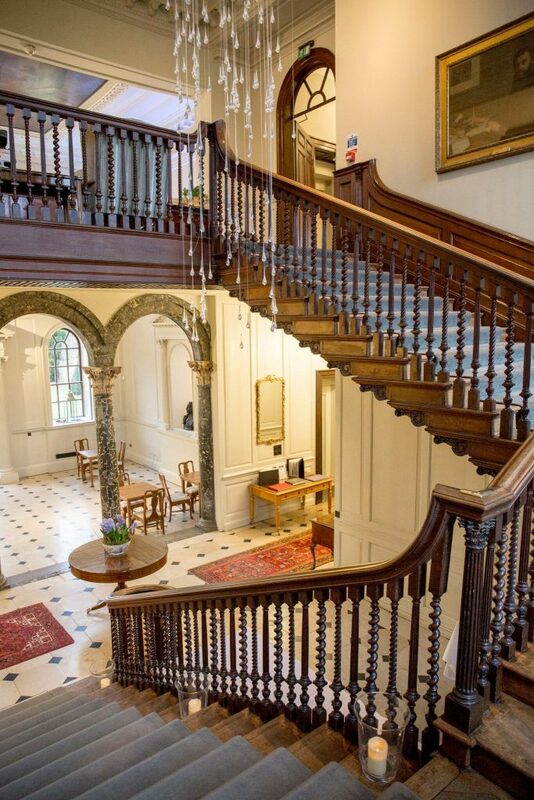 With just a couple of historic gems we stumbled upon en route to our room from reception including the original call bells for Lord and Lady Beatty and a quirky ladder staircase. To get a real feel for Chicheley Hall though, I recommended chatting to the staff, who are clearly very passionate about their place of work. The receptionist, who felt she had come home when first arriving for her interview, to the point she became convinced of a past life association. Those who have seen orbs of light appearing in pictures taken on the premises, and who feel ‘energetic presences’. The night manager, who showed us the secret library room, while telling of guests feeling inexplicable cold while spending the night in there, even though the hotel’s sophisticated computer controlled heating system was set to keep the temperature warm. Regaling us with tales of lights being turned on by the sensors while no one was in the house, and of both guests and staff seeing a lady in the window in what was the old nursery area. Spooky stuff. Back to more earthly pleasures though. Food. 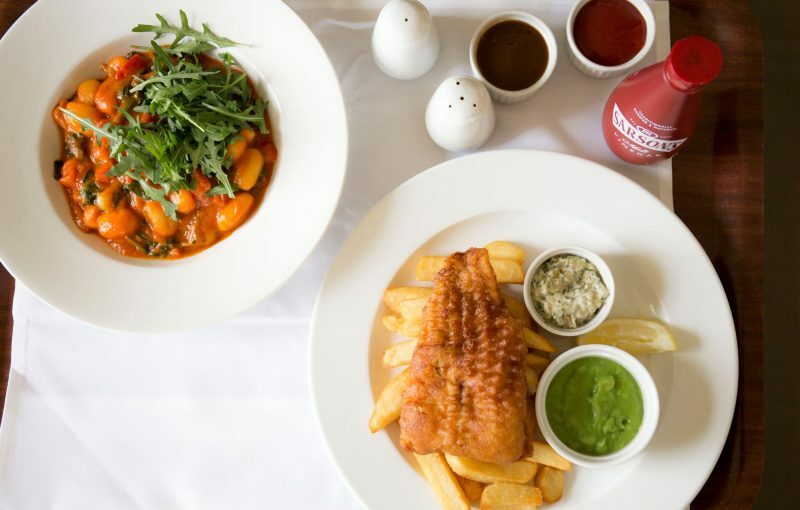 There are some real standout dishes on the menu at Chicheley Hall, as well as a couple that I felt could be improved upon. In the latter camp is the broccoli and spinach soup, which I found a little watery. Also the tortellini, with its soupy mushroom and stilton sauce. This said, the brie and caramelised onion tart served with rocket dressed in rich balsamic is excellent. 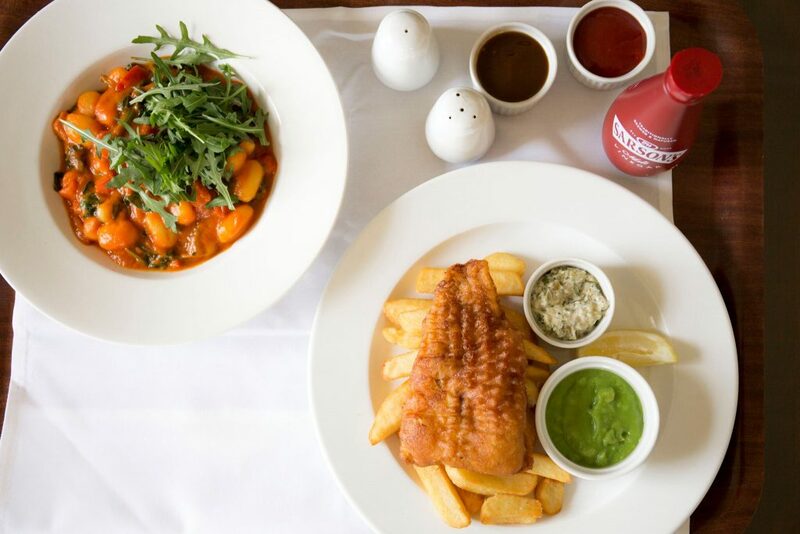 And the fish and chips were some of the best I have tasted – crisp batter, with chunky chips, homemade tartar bursting with capers and sweet mushy peas. Served with some old school Sarsons and Heinz ketchup. 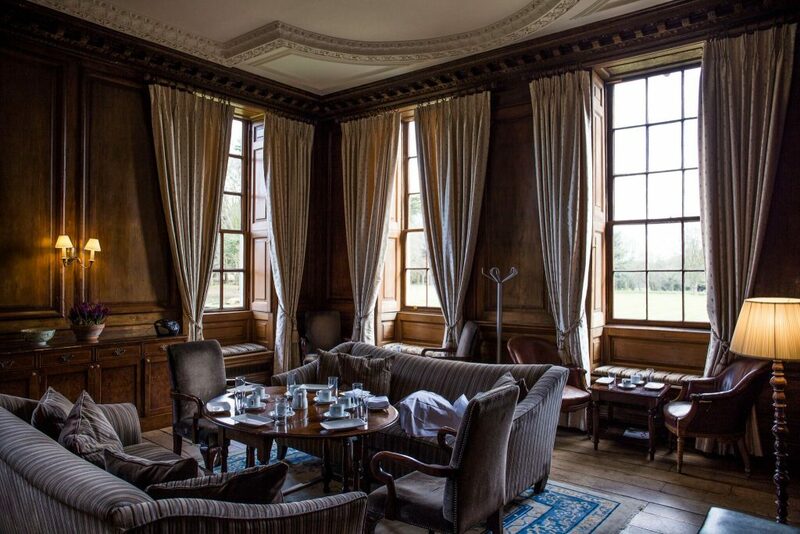 We ate dinner in the intimate wood panelled drawing room, with marquetry walls and lush flea printed silk curtains. Yes, flea print. Based on a drawing by Robert Hooke – the 1st person to see a flea under a microscope in the 1600’s, and member of The Royal Society. See what I mean about quirky detailing? By chatting further to the night manager, we also learnt that the epic freestanding staircase is one of a few left in the UK made of self supporting solid oak. Offset against solid marble floors and pillars, alongside original oil portraits, it makes dramatic entrance down into the main hall. Almost making me want to don a sweeping gown. That’s not necessary here though – the dress code is relaxed, with jeans and a shirt perfectly acceptable for the dining room. 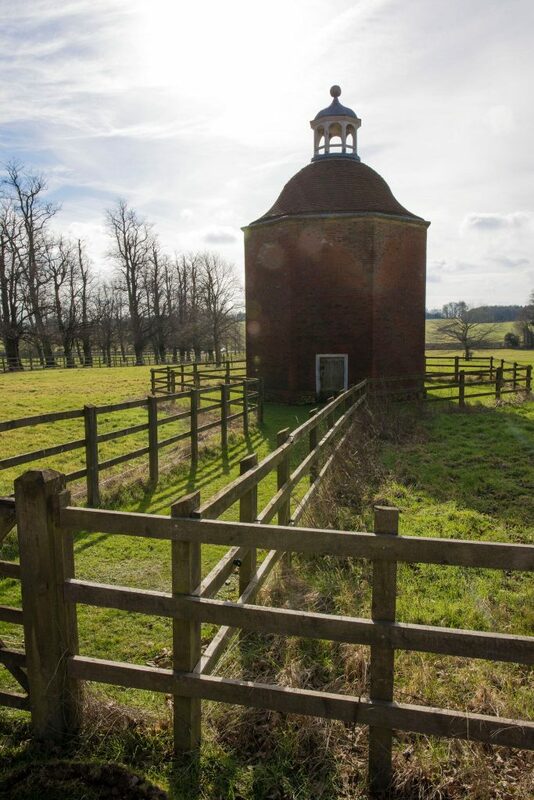 And, if like us you are visiting in winter, take some outdoor shoes so you can explore the 80 acres of grounds. Discover wildlife including peacocks and swans. Hang out in the monkey tree and spot the sundial. Pick up giant rusty keys from reception to take a peek inside the cobweb covered dovecote, and the next door parish church. Built in the 1300s, Chicheley church is quaint and traditional. Just watch out for the phantom bell-toller. Convinced there must be a logical explanation to the midday chimes, we made enquiries. But the receptionist just shrugged it off as just one of the many mysteries of this historic estate. ‘For whom the bell tolls. It tolls for thee’. Literally.